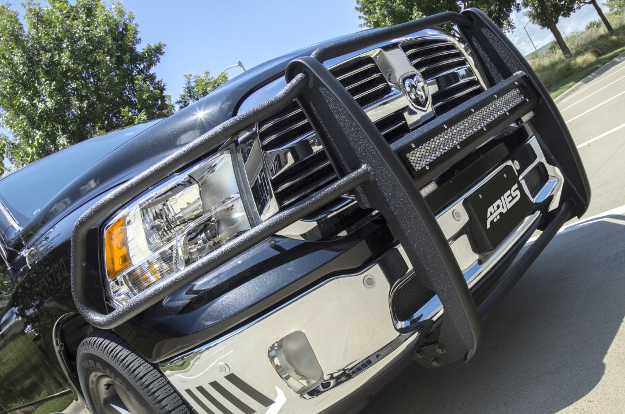 Unlike any other grille guard on the road today, the ARIES Pro Series™ grille guard is uniquely made for LED light bar customization. 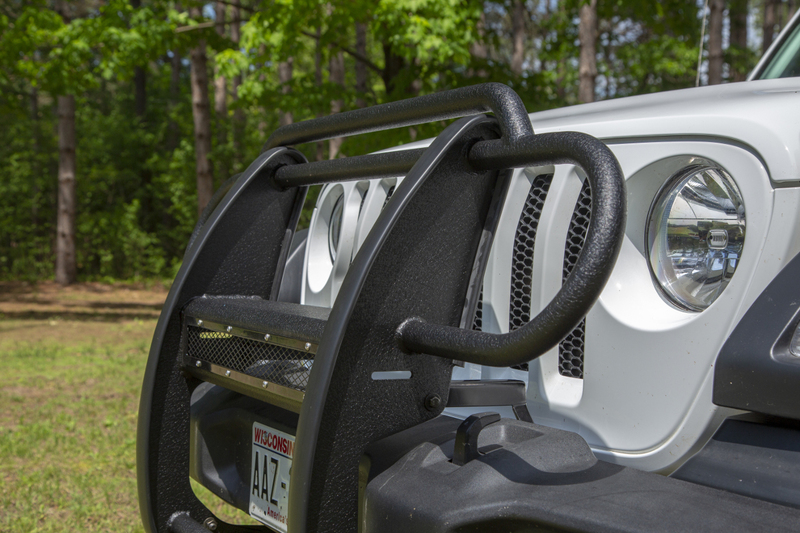 It features a patented center crossbar to house a single-row LED light bar and accepts a number of different interchangeable cover plate options to protect the light and maximize customization. 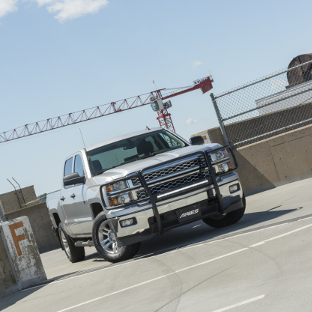 The Pro Series™ truck grille guard also features a high-strength, one-piece design and a vehicle-specific fit to install with no drilling required. 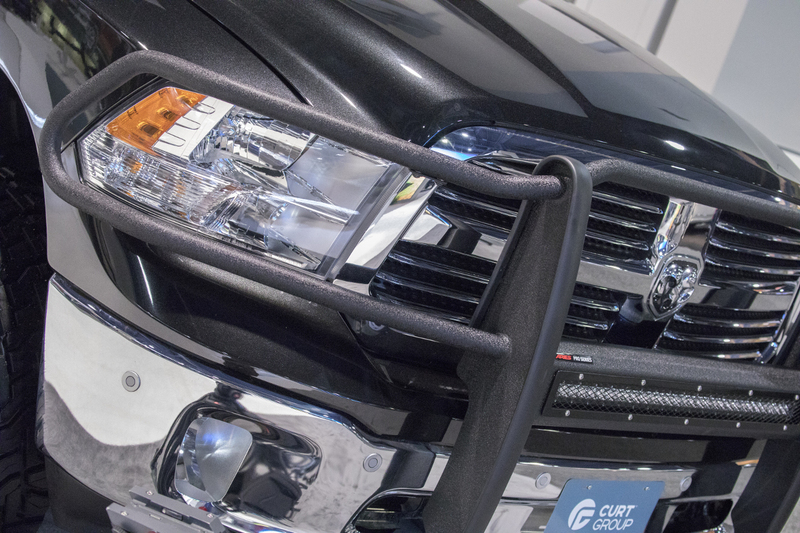 The patented center crossbar of the Pro Series™ grille guard gives your truck a customized look and added functionality, providing useful light for the trail, jobsite or wherever you need it. 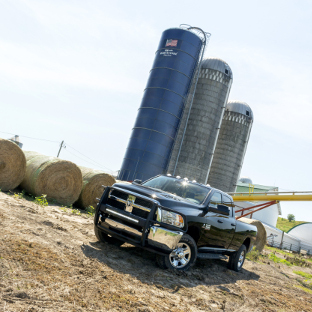 In addition to its integrated light bar, the Pro Series™ is made with a strong design. The 1-1/2" tubes and vertical risers are welded into a single piece for rigidity and vibration resistance. 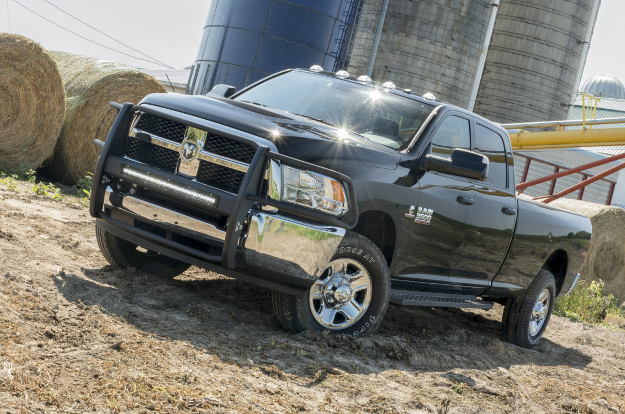 No other grille guard or brush guard integrates an LED light bar like the Pro Series™ grille guard. Doing away with light mounting clips and tabs, the crossbar itself is the light bar housing. This also eliminates the need for you to drill into the frame of the grille guard to mount LED lights. 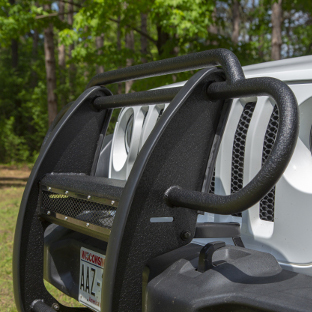 The truck version of the Pro Series™ grille guard is available with a 30" light bar and the Jeep Wrangler version is available with a 20" light bar. 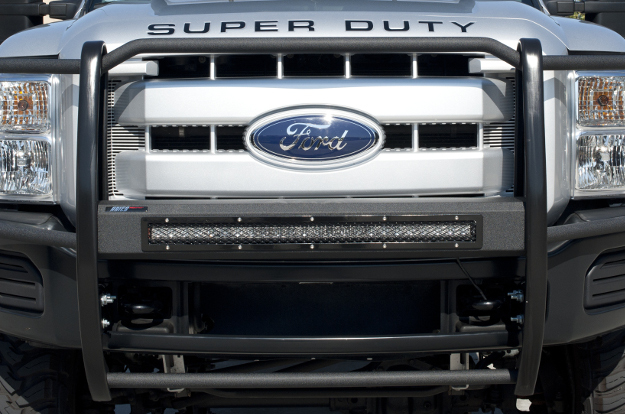 Within the patented light bar housing of every Pro Series™ grille guard is a channel-style mounting bracket. This channel system makes positioning the light bar completely customizable. It can also accept multiple smaller light bars, and they can be adjusted to suit your preferences. We have also designed the channel mounting bracket with an articulating mechanism, allowing the light beam to be positioned at any angle you prefer. 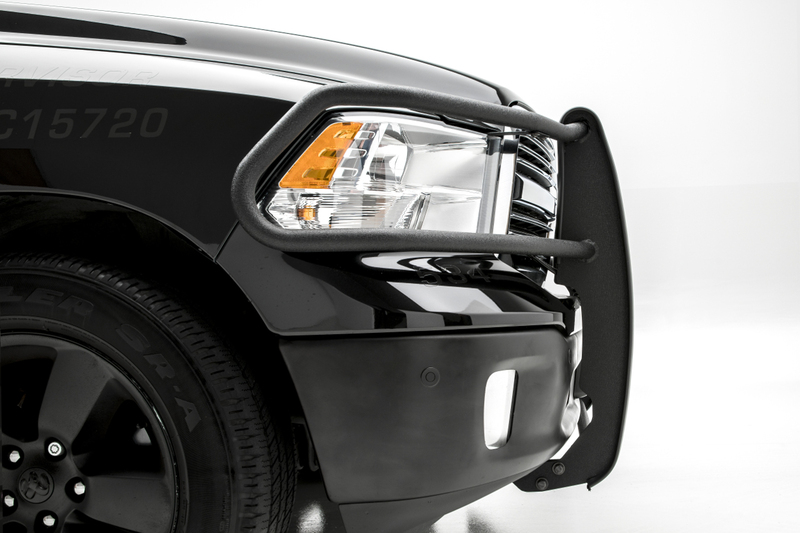 Each Pro Series™ grille guard is available as a complete kit with the LED light bar included or without the light bar. 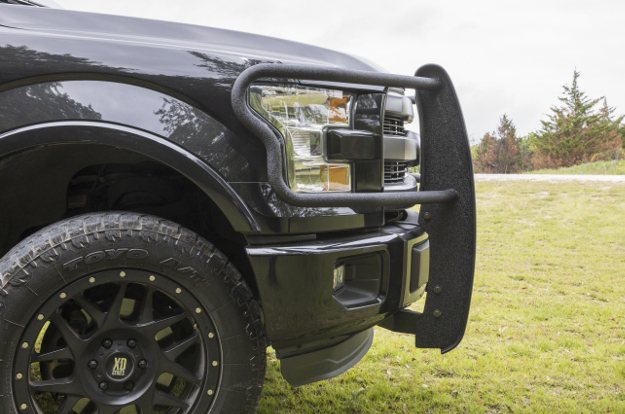 The light bar included with our grille guard kits is constructed with grade-A Cree LED chips to provide bright, vibrant light, and it features IP68 and IP69K waterproof and dustproof ratings. 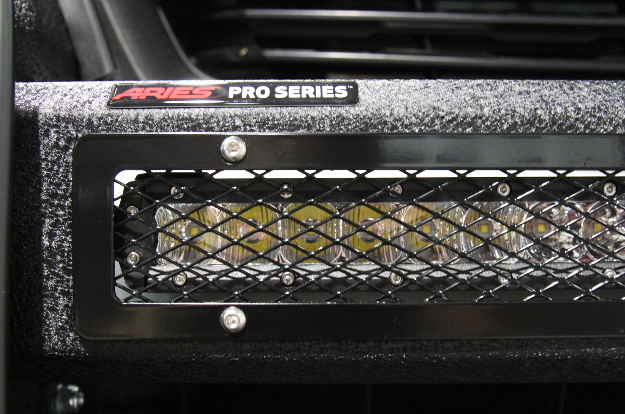 With its durable, waterproof construction, the ARIES LED light bar is truly made for the offroad-style truck or Jeep. It also features a 50,000-hour continuous-use lifespan and is fitted with a waterproof wiring harness for a reliable connection. 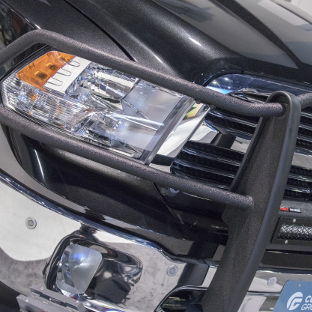 Not only does the Pro Series™ grille guard stylize the front end of your truck or Jeep with an LED light bar, but it also comes with an interchangeable cover plate. 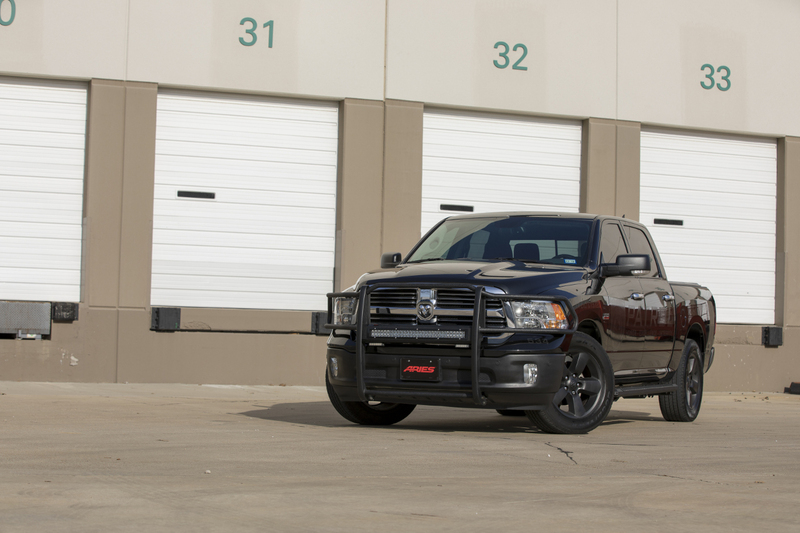 Each grille guard includes a black mesh cover plate that easily bolts on and provides added security for the light. The black mesh cover plate can also be swapped out at any time with any one of our other cover plate options. 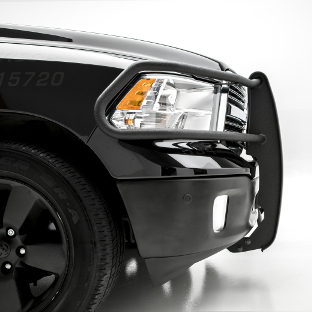 With several different styles and finishes to choose from, you can select the look that best complements your vehicle and light bar arrangement. 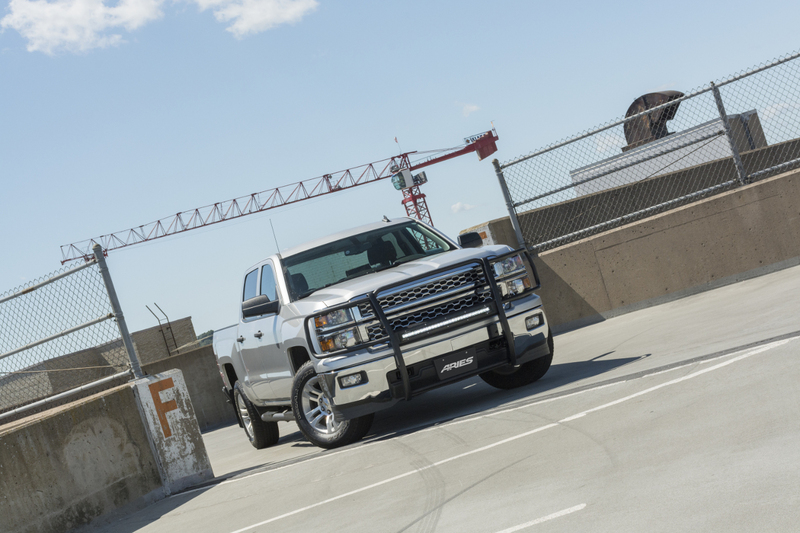 Solid construction is an essential feature of any grille guard, and the Pro Series™ grille guard sets the bar high. It has a one-piece design of 1/4" thick welded steel plates and 1-1/2" carbon steel tubing. The tubing is mandrel bent, giving it a smooth, professional look, and because the grille guard is a single welded piece, it offers greater rigidity and long-term strength, despite being exposed to vibrations and the outdoor elements. 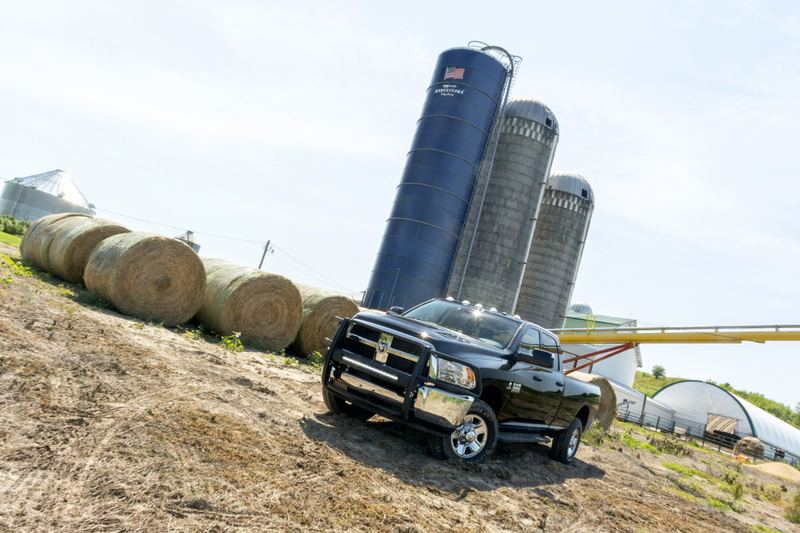 While steel provides the Pro Series™ grille guard its impressive strength, a dual powder coat gives it its thick skin. We use a unique E-coat and textured black powder coat finish that is not only tested to outlast moisture, rust and road salt, but also offers excellent hide. 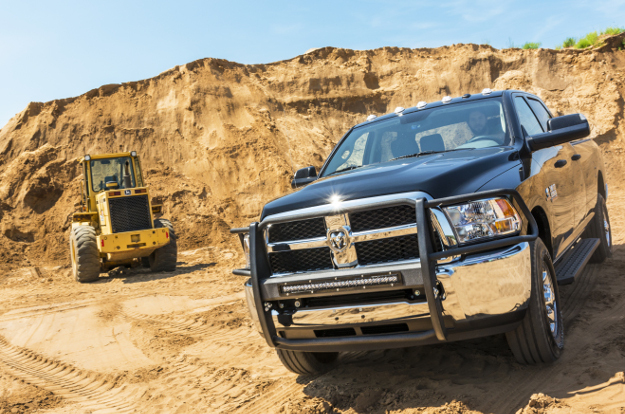 The textured surface is designed to hide dirt, grime, minor scratches and other offroad threats, helping to maintain the grille guard's professional finish. We use this special textured black powder coat on a number of other products as well, allowing you to build your vehicle with a consistent look. 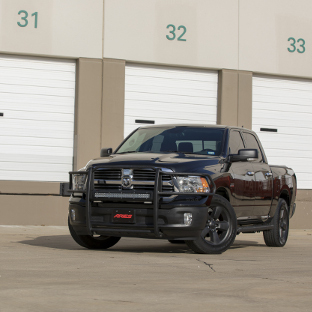 For enhanced protection on the front end of your truck or Jeep and to help keep the textured black finish well-maintained, each Pro Series™ grille guard comes with integrated rubber stripping. The extruded rubber shields the face of each vertical riser, enveloping it with a protective buffer. The rubber strips keep the finish from getting chipped or scratched in spite of minor bumps and abrasions, promoting a long-lasting, customized look on your vehicle. 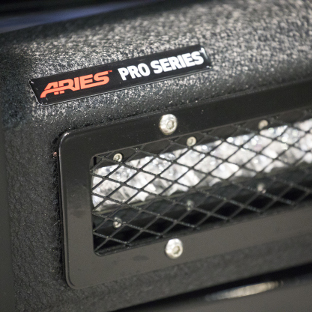 Each ARIES Pro Series™ grille guard is made vehicle-specific to perfectly complement your truck or Jeep. They are designed with unique bends, brush guards and mounting brackets to contour to the profile of your vehicle and accent its headlights, grille, bumper and other unique features. A custom-fit design also means easier installation. 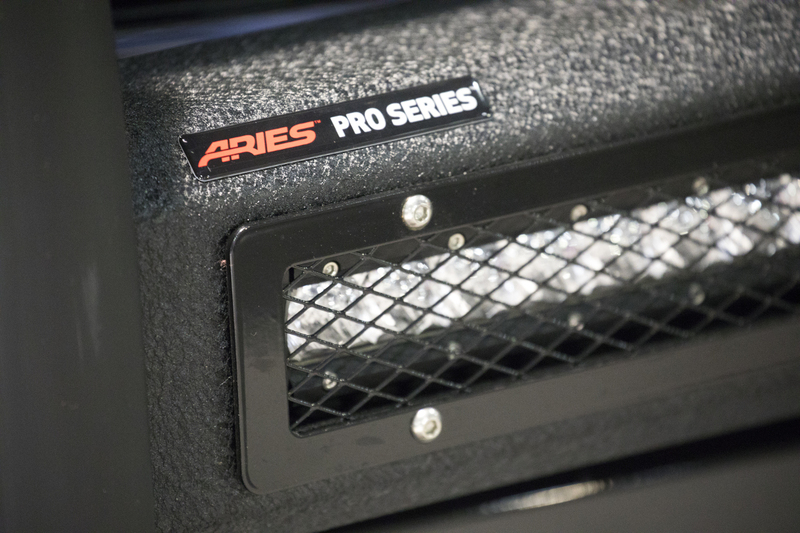 With vehicle-specific mounting brackets, each ARIES Pro Series™ grille guard seamlessly integrates with the factory bumper and installs with no drilling required.